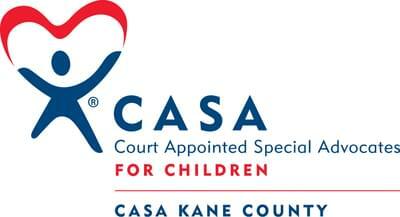 Based locally in Kane County, CASA is an organization that believes “that every child has the right to a safe, nurturing and permanent home, and deserves the support and involvement of their community” according to their vision statement. CASA specially trains their volunteers and the Juvenile court judge will appoint the volunteer to be a guardian of a child who is a victim of abuse. Through this relationship, the volunteer mentors and gives them the emotional support they would not receive, while observing and recommending specific services to fit the child’s needs. CASA strives to give every child a safe and permanent environment.